Information on Journalism and Mass Communication Courses 2018. 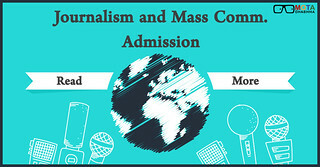 Get Details on what is Mass Communication, Courses, Colleges, Admission Process etc. Get Complete Details on Eligibility, Application Process, Selection Process, Counselling, Syllabus, Exam Date & Pattern.